Manufactured by Forever Garden, these beautiful examples of a forgotten art form are highly collectible. Originals are rare and usually found in private collections and museums. 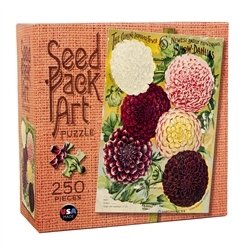 Enjoy the precision, color and attention to detail as you piece together these Seed Pack Art Puzzles.